If you’re having the TP Link wireless adapter driver issue in your computer and want to download the TP Link wireless adapter driver in your computer, don’t worry. You’re not alone. This is not a hard problem and you can easily download the TP Link wireless USB adapter driver in your Windows. 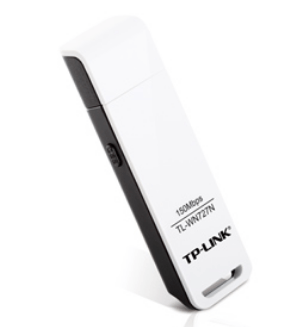 What is TP Link wireless adapter driver? TP Link wireless adapter driver is the important program for your TP Link WiFi network adapter to communicate with your computer, so your computer can smoothly work with your adapter. Her are the solutions you can try. You can directly download and install the wireless USB adapter driver for your computer from the official website. 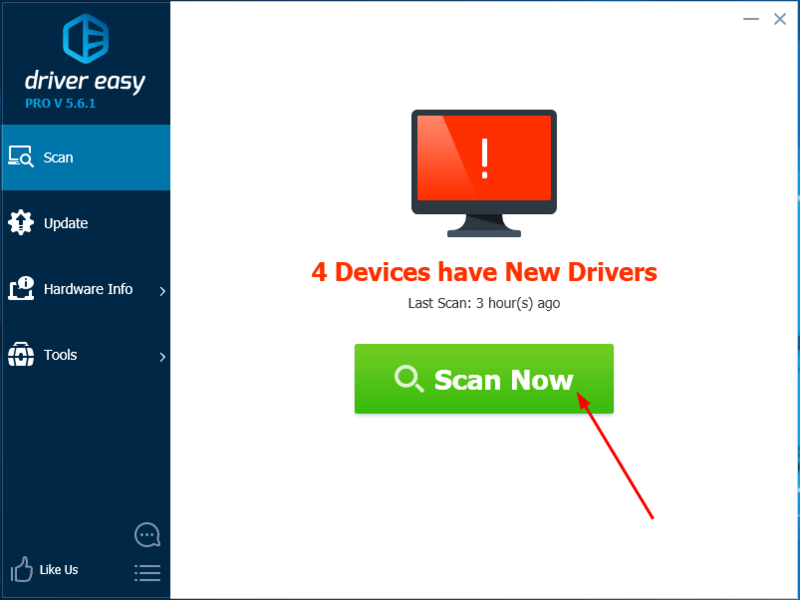 Note: You need to access the internet on your computer to download the driver. You can connect your computer with a wired network, or you can download the driver on another computer with Internet. 1) Go to the official TP Link download center. 2) Select the device name of your wireless adapter driver. 3) Select the hardware version (You can check your hardware version by checking your product specs), and click Driver. Note: If you download the driver from another computer, then save the driver file in a USB drive, and install the driver on your computer (on which you want to install the TL-WN722N adapter) from the USB drive. 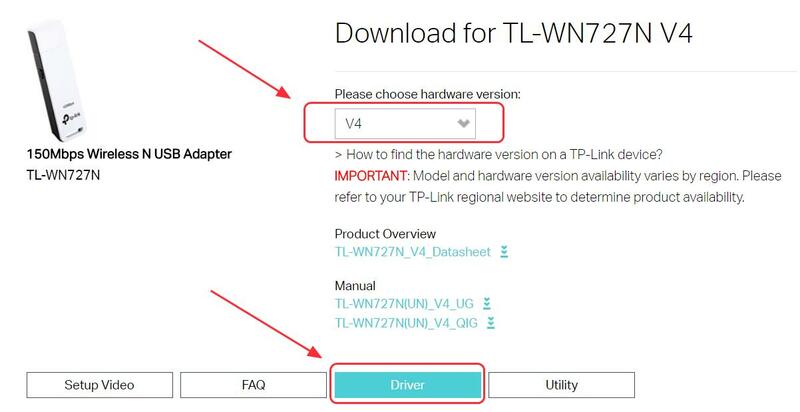 If manually installing the TP Link wireless adapter driver from the website doesn’t work, you can do it automatically with Driver Easy. 4) Restart your computer and you should have the latest TP Link wireless driver installed in your computer. You can also install the wireless adapter driver in Device Manager. 2) Double click the category your TP Link device belongs to. It can be Network adapters or Other devices. It depends on your device. 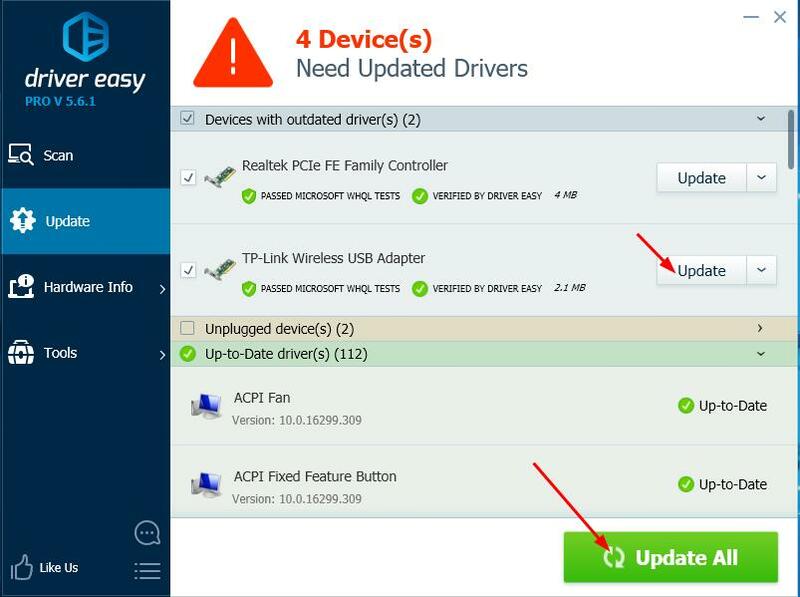 3) Right click on your TP Link device, and select Update driver. 4) If you have the TP Link driver in a CD/DVD, select Browse my computer for driver software. If you don’t have the driver file installed in your computer, select Search automatically for updated driver software. 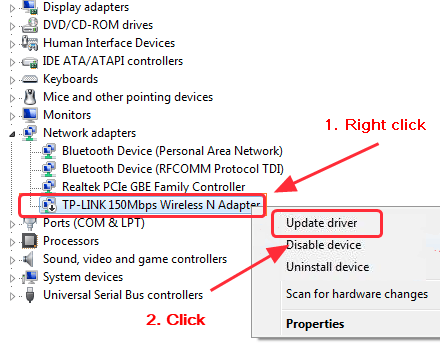 5) Follow the on-screen instructions to install the TP Link adapter driver in Windows. 6) After finishing, close the pane and you should have your TP Link wireless driver installed in your computer. That’s all there is to it. You can download and install the TP link wireless USB driver in your computer quickly and easily.